On Thursday, federal regulators said Wells Fargo (WFC) employees secretly created millions of unauthorized bank and credit card accounts -- without their customers knowing it -- since 2011. The way it worked was that employees moved funds from customers' existing accounts into newly-created ones without their knowledge or consent, regulators say. The CFPB described this practice as "widespread." Customers were being charged for insufficient funds or overdraft fees -- because there wasn't enough money in their original accounts. Additionally, Wells Fargo employees also submitted applications for 565,443 credit card accounts without their customers' knowledge or consent. Roughly 14,000 of those accounts incurred over $400,000 in fees, including annual fees, interest charges and overdraft-protection fees. Wells Fargo has the highest market valuation among any bank in America, worth just north of $250 billion. Berkshire Hathaway (BRKA), the investment firm run legendary investor Warren Buffett, is the company's biggest shareholder. Of the total fines, $100 million will go toward the CFPB's Civil Penalty Fund, $35 million will go to the Office of the Comptroller of the Currency, and another $50 million will be paid to the City and County of Los Angeles. "One wonders whether (the CFPB) penalty of $100 million is enough," said David Vladeck, a Georgetown University law professor and former director of the Federal Trade Commission's Bureau of Consumer Protection. "It sounds like a big number, but for a bank the size of Wells Fargo, it isn't really." Wells Fargo confirmed to CNNMoney that the 5,300 firings took place over several years. The bank listed 265,000 employees as of the end of 2015. The CFPB declined to comment on when the investigation began and what sparked it, citing agency policy. "We don't comment on how we uncover these matters," a spokesman said. As part of the settlement, Wells Fargo needs to make changes to its sales practices and internal oversight. Customers are fuming. Brian Kennedy, a Maryland retiree, told CNNMoney he detected an unauthorized Wells Fargo account had been created in his name about a year ago. He asked Wells Fargo about it and the bank closed it, he said. "I didn't sign up for any bloody checking account," Kennedy, who is 57 years old, told CNNMoney. "They lost me as a banking customer and I have warned family and friends." "Consumers must be able to trust their banks," said Mike Feuer, the Los Angeles City Attorney who joined the settlement. Feuer's office sued Wells Fargo in May 2015 over allegations of unauthorized accounts. 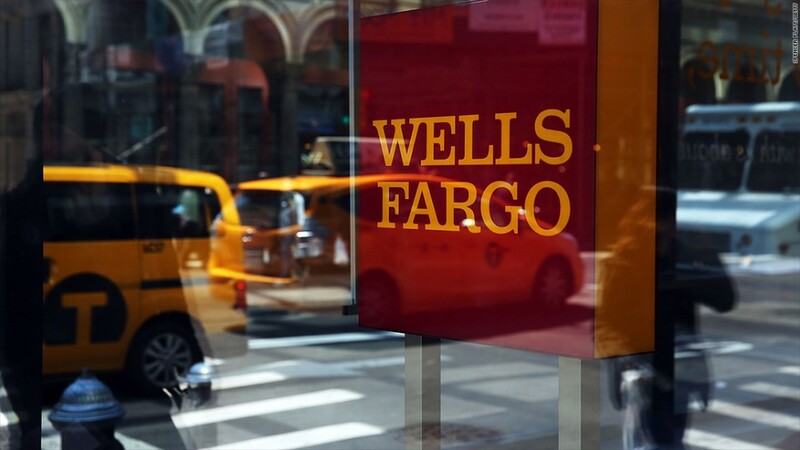 After filing the suit, his office received more than 1,000 calls and emails from customers as well as current and former Wells Fargo employees about the allegations. Wells Fargo declined to say when it hired a consulting firm to investigate the allegations. However, a person familiar with the matter told CNNMoney the bank launched the review after the L.A. lawsuit was filed. Even though the Wells Fargo scandal took place nationally, the settlement with L.A. requires the bank to specifically alert all its California customers to review their accounts and shut down ones they don't recognize or want. "How does a bank that is supposed to have robust internal controls permit the creation of over a half-million dummy accounts?" asked Vladeck. "If I were a Wells Fargo customer, and fortunately I am not, I'd think seriously about finding a new bank."